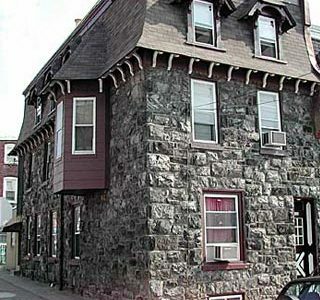 This is a stone construction building that is the end of a row of large homes. It was built in 1910. This is a special unit for me because it has been in my family for over 30 years. My grandfather first owned it and then it was purchased through the years by different members of my family, until I purchased it in 1993. I have spent a lot of time on this particular building making it as comfortable yet original as possible; as I’m sure you will see by the pictures here. Walking distance to Main St. and also right on the CoreStates bike race route. Total Sq. Ft.= 755 sq. ft.
Total Sq. Ft.= 645 sq. ft.
Total Sq. Ft.= 780 sq. ft.